The Duke of Cambridge will meet with Crown Prince Hussein, the son of Jordan's King Abdullah II, and other Jordanian leaders during his two days in the kingdom. On Monday night, he will leave for Israel, where he can expect his every move to be closely watched. 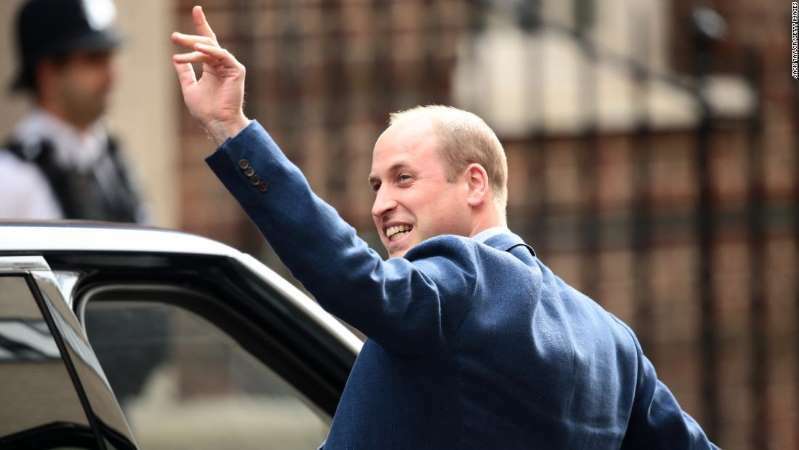 The following day, William is expected to visit Jerusalem's Old City, the Mount of Olives and the Church of St. Mary Magdalene in the Garden of Gethsemane, where his great-grandmother, Princess Alice -- Prince Philip's mother -- is buried. The historic trip, which coincides with the 70th anniversary of Israel's founding, comes at a time of heightened tensions in the region. Israel has been accused of using excessive force against the protesters, a charge the country's leaders have denied. Israel claims that Hamas is orchestrating the protests. Earlier this month, the United Nations General Assembly condemned Israel for the use of "excessive, disproportionate and indiscriminate force" against Palestinian civilians. The resolution also condemned the firing of rockets from Gaza into Israeli civilian areas.